MochaMocha coffee has a strong New York flavour in a small cup. How to make it: Add 20 milliliters of chocolate syrup and a strong deep fried coffee, stir well, add 1 tablespoon of cream to float on top, peel some chocolate to decorate, and finally add some cinnamon sticks. 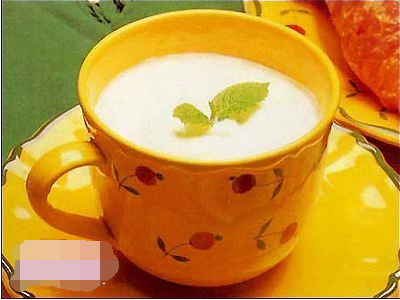 Mocha Mint Coffee　Mocha Mint Coffee: "Pour warm coffee over cold cream" The cold cream floats and forms a cold sweet cream. The coffee underneath is hot and unstirred to keep them at different temperatures. It's an American favorite chocolate mint coffee, made with a mixture of mint and coffee. How to make it: Add 20 grams of chocolate, deep fried coffee, 1 teaspoon of white mint, 1 tablespoon of cream to float on top, chop some chocolate chips and decorate a mint leaf. Cappuccino　This coffee, the color of which resembles the headscarf worn by an Italian monk, has been named Cappuccino. It is accompanied by a cinnamon stick and topped with lemon juice, showing a complex flavor. 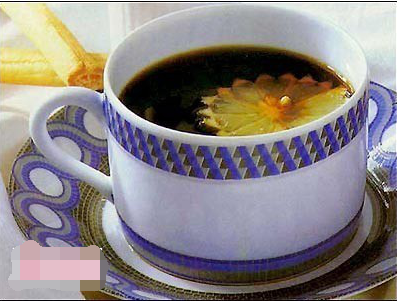 How to make it: Preheat the deep fried coffee, pour it into a small coffee cup, add 2 tablespoons of sugar, add 1 tablespoon of cream and float on top with lemon or orange juice. Insert the cinnamon stick into the cup instead of the spoon. Coffee with coconut juice and cream cubes　The aroma of coconut coffee. The aroma of coconut is very strong. 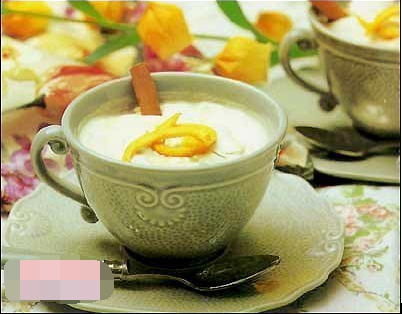 Method of preparation: First drop 2 drops of coconut essence in the cup, infuse deep fried coffee and boiled milk 60 ml, then add a spoonful of cream floating on top, sprinkle some cooked coconut end for decoration. 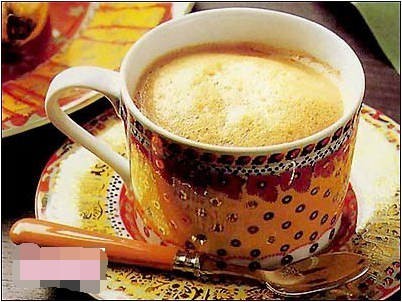 Mix equal amounts of coffee and milk together to make Viennese style milk coffee. Preparation: First in the cup to add a slightly deep fried coffee, the same amount of milk into the milk pot, boiling with a small fire, bubble before adding cream, do not wait for the foam to disappear onto the coffee. Naples Style Coffee　Neapolitan style coffee is very bitter very hot morning coffee, young people in the United States prefer to call it dawn coffee. How to make it: Fry the cup very deep, then put a slice of lemon on the surface and drink it in the dark. 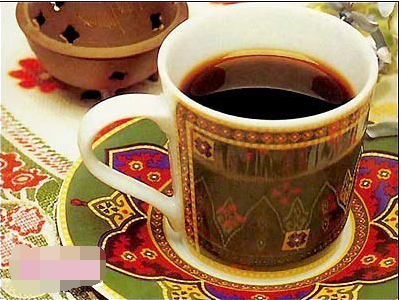 Hot Moga-GabaRussian coffee, also known as hot mogacaba, has a strong coffee flavor. 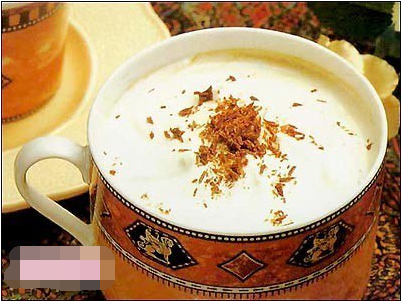 Preparation: deep fried coffee, melted chocolate, cocoa, egg yolk and a small amount of milk heated on the fire, stirring fully, add a small spoonful of sugar, stir well, pour into the cup, add 1 tablespoon of cream floating on top, cut some chocolate finish for decoration. 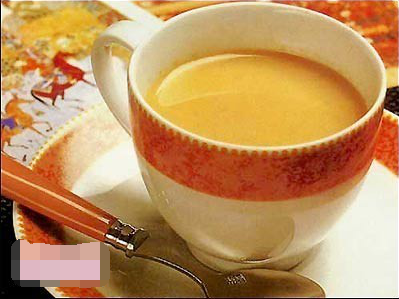 Indian Coffee　Indian coffee is purchased in pairs with coffee cups, or one at a time according to the brand you like. When you collect individual coffee, you first have to decide on a good theme, then buy it by color pattern. You can also collect exhibits. A little salt will bring up the pure sweetness of milk. Drink this coffee mug with a handful of coffee cups and your whole body will warm up. 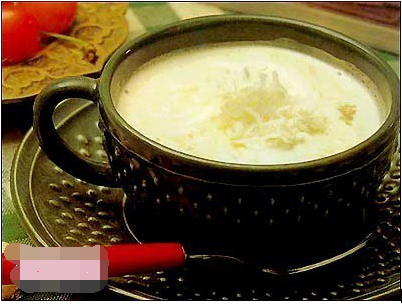 Preparation method: Pour the milk into the pot to heat, before boiling the milk into deep fried coffee and red sugar 10 grams, and then add a little salt, full stirring. Turkish coffee　After drinking coffee, the Turks always look at the traces of residual coffee powder on the bottom of the coffee cup to see the luck of the day from what it looks like.Formulated: In a milk bowl, pour into the grated deep fried coffee and cinnamon and other spices, stir evenly, then pour into the pot, add some water to boil for 3 times, remove from the fire, then pour the clear liquid into the cup, then slowly into the orange juice and honey. Frozen Cream Cafe　Frozen custard coffee, not ice cubes, but chilled. 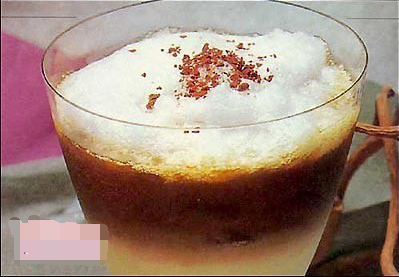 Here is a coffee made into ice added to the American drinking method. How to make it: Add the ice cubes made from coffee to a glass, pour the milk boiled with sugar, and slowly pour the frozen coffee from above. The milk and coffee are divided into two layers. 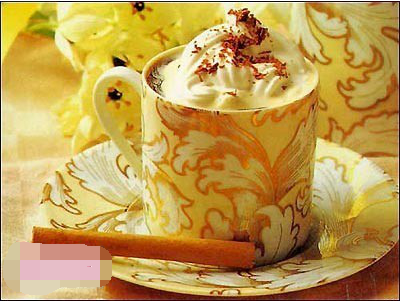 The milk foam is on the top, sprinkled with cinnamon powder for decoration.